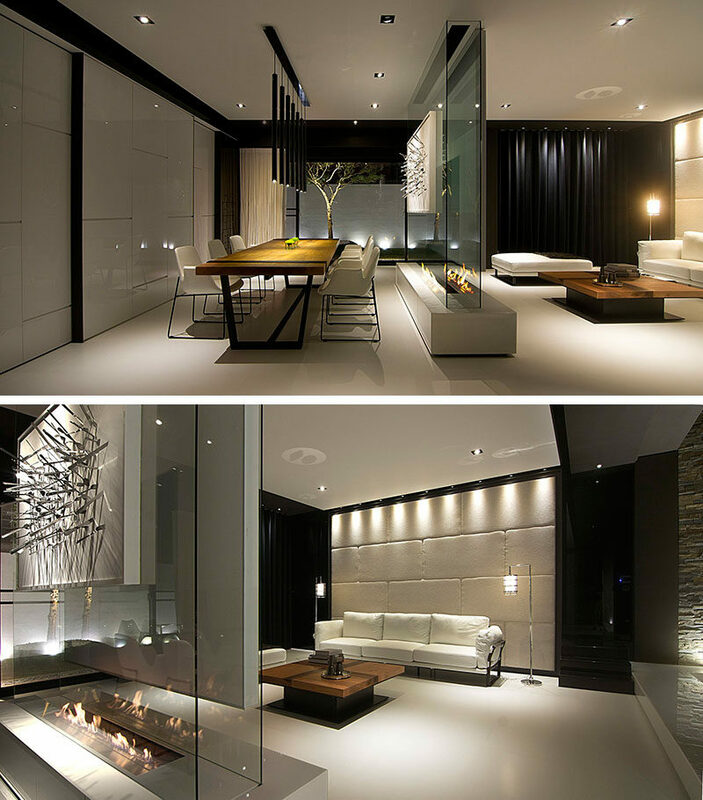 When Beatrix Space Design were designing this modern family house in Taiwan, they created a room divider that has a variety of functions. The clear glass they used to create the transparent wall, allows for the space to be divided into two defined areas without the use of a solid wall. This is ideal for keeping the space feel open without being walled off. 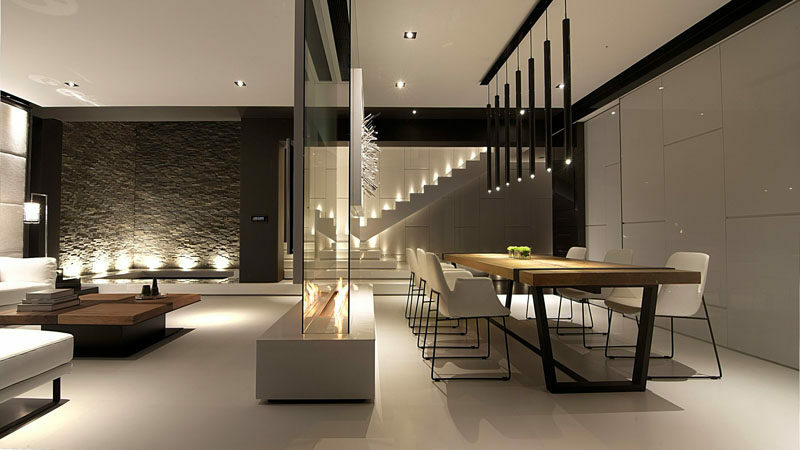 On one side of the room divider is the dining room, where the glass wall supports an interesting piece of art. On the other side of the room divider is the living room, that enjoys benefits of the room divider by having a place to install a TV. 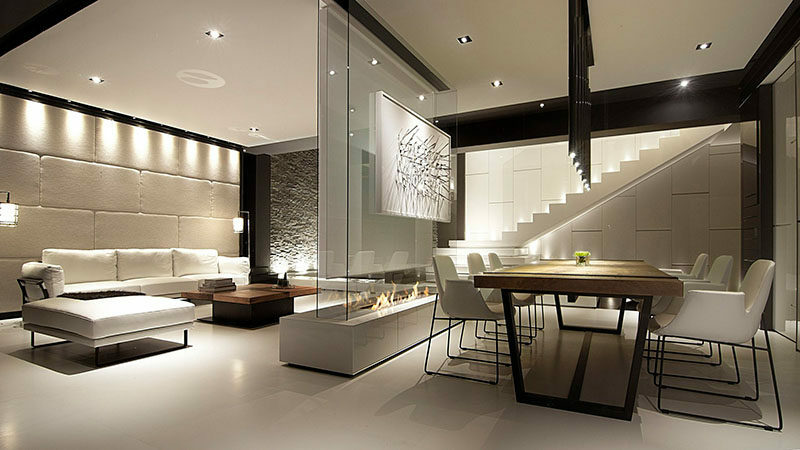 Both the dining area and the living area are able to enjoy the fireplace that’s sandwiched between the glass walls.